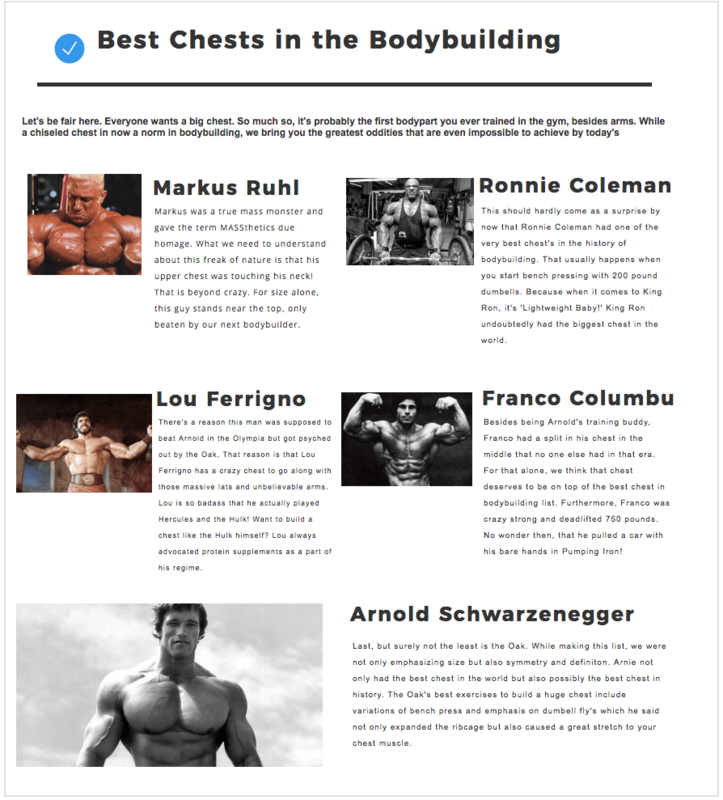 Which Franco Columbu workout tips can you apply to your own training? Franco is an accomplished powerlifter and bodybuilder, holding numerous world records and titles, including Mr. Olympia in 1976 and 1981. You might not be able to deadlift 750 pounds like Franco, but you can surely implement his sage fitness advice. How do you know that you can rely on Franco Columbu's workout tips? Watch his development from teenage boxer to one of the strongest powerlifter of all time, besides winning the coveted Mr. Olympia twice as a bodybuilder. The foundation of Franco's workout and training routine can be summarized in one paragraph. The main clue here appears to contradict those who preach squat or deadlift every day. Clearly, Franco Columbu's workout did not consist of hitting squats and deadlifts every single day. According to Rick Madden of Muscle and Brawn, Franco did the following squat workout: 7 sets of barbell squats starting with 3 warm up sets of 20 reps, 15 and 10. His squat workout sets went from 8 repetitions to 6, 4 and then 2. Besides squats, Franco also included 4 sets of leg presses, leg extensions 6-7 sets, 3 sets of barbell lunges and 6 sets of deadlifts in the same leg workout. This leg workout alone would take hours for a mere mortal to complete. If you do 7 sets of squats and rest between sets for 3 to 5 minutes, your squat workout will take about an hour. You have to warm up and rest between sets. 3 sets of bench presses using 15 repetitions, 10 reps and 4 reps. After each of these bench press sets, Franco did 20 reps of cable crossovers. This is a superset that you can immediately apply to your chest workout. Besides bench press and cable crossovers, Franco also did dumbbell flyes with another superset of cable crossovers, incline bench press, barbell pullovers, dips and more cable crossovers. In total, Columbu's workout included 9 sets of cable crossovers with 70 repetitions. Do not be discouraged because you have to remember that both Columbu and Schwarzenegger were young and using steroids (legal at that time, but not now) which help you workout out harder and longer. Breast enlargement in men, also known as Gynecomastia. You are not weightlifting so you can grow bigger breasts, right? If you think the catastrophic consequences of steroids is a big fat lie, check out this article with a full list of 31 dead pro bodybuilders who died from steroid induced health complications at a young age. They paid the price for building inhuman muscle. They won many prestigious awards, but at a deadly price. Fit Apprentice is for building health and muscle for beginners. Remember, your health always comes first. 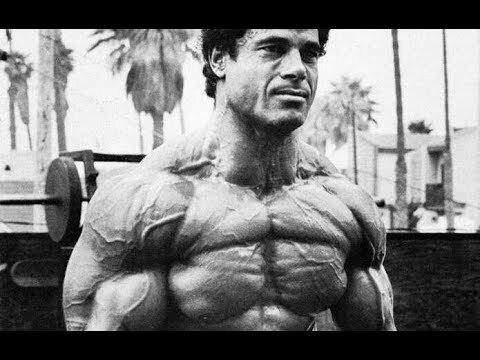 Franco Columbu's reported shoulder workout included 4 sets of lateral raises, 6 sets of bent over reverse laterals, 4 sets of behind the neck presses (which is not typically suggested these days), 3 sets of alternating dumbbell front raises and 3 sets of cable lateral raises. Franco's back workout consisted of 6 sets of wide grip pull-ups, 4 sets of T-bar rows, 4 sets of cable rows and 3 sets of one arm dumbbell rows and a superset of neutral grip pull-ups, another monster workout for the ‘Sardinia Strongman' who once blew up a hot water bottle in 55 seconds on live tv. Franco himself wrote a detailed article for strength-oldschool with his no longer secret sequence for massive arms. He suggests 5 sets of Incline Dumbbell Curls supersetted with Lat Bar Triceps Pushdowns. Next do 5 sets of Semi-Cheat Curls supersetted with Lying Triceps Curls and last 5 sets of Scott Bench Curls supersetted with Close Bench Presses. If you want to follow this exact program, read Franco's own words on how to get massive arms here. In those days when Franco was competing against Arnold Schwarzenegger and Frank Zane, they trained twice a day, with early morning and evening workouts. Columbu and Schwarzenegger were close friends and were brought to America by Joe Weider. He sponsored their bodybuilding training with a stipend of 65 dollars a week. Most likely, you have a job, profession, career, or you are retired and are not a professional bodybuilder. You do not want to train 5 hours a day like Columbu and Schwarzenegger. And you do not have a Joe Weider in your life to sponsor your workouts. So, you have to do what works best for your age and fitness level today. You can still glean important tips from Franco's workout and training routine. Even though they were young, both Columbu and Schwarzenegger needed one complete rest day in between body part workouts. So, for example, during one week, do not do a squat or deadlift workout more than 3 times, Monday, Wednesday and Friday. You need at least one day in between, Tuesday and Thursday to recover. On Tuesday and Thursday, assuming your training is on weekdays and not weekends, you can work upper body or assistance exercises. Superset bench press with cable crossovers to build a champion chest. Success leaves clues. Why reinvent the wheel when you have a great workout strategy that you can immediately implement into your own routine. Of course, everyones skeleton, tendon attachments, body structure is different, but it is certainly worth a try for yourself and see how it goes. Superset incline curls back to back with triceps press down to build bigger arms. Allowing your muscles to rest helps them grow. And also gives your tendons and joints time to get accustomed to heavier weight training. Less is More. 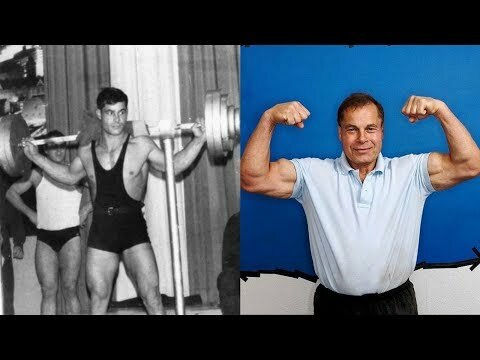 Even Franco Columbu did not work a body part more than twice a week. According to this last note, perhaps it is enough to train squats and deadlifts only twice a week. In that case, you can do squats on Monday and Friday, deadlifts on Wednesday and Bench Press/Upper body on Tuesday and Thursday. Don't be a big shot and attempt to go all out on squats, deadlifts or bench presses every day. Especially if you are an older powerlifter or bodybuilder. Eventually your tendons will say “No Mas” and you might end up with very painful tendonitis or tennis elbow or worse. Injuries will stop you dead in your tracks from training. If you want to see bigger gains, implement these 5 Pearls of Wisdom from the Franco Columbu workout.